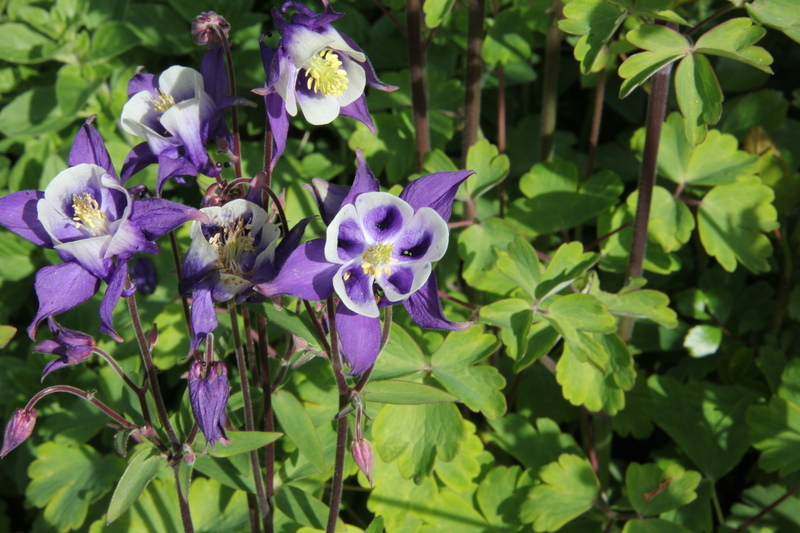 Throughout the perennial beds, colorful columbines, or Aquilegia, are blooming. These nodding, spurred flowers with their clover-like foliage have always been a favorite of mine. They are hardy and propagate easily. Deep shades of purple and burgundy on shorter stems mingle with softer tones of coral and yellow on taller stems. The names relating to birds are fitting for these sweet flowers that almost look like they’re taking flight. 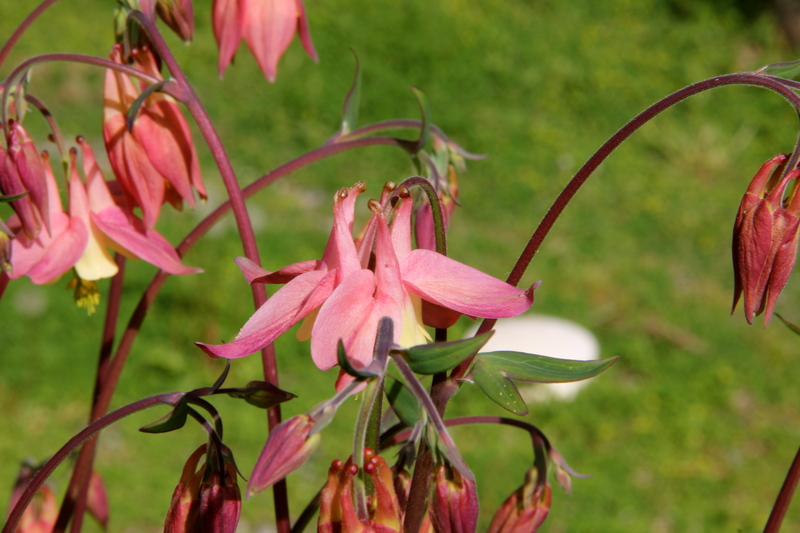 Years ago I thought these were called shooting stars because of their spurs, but shooting stars are a different flower entirely. 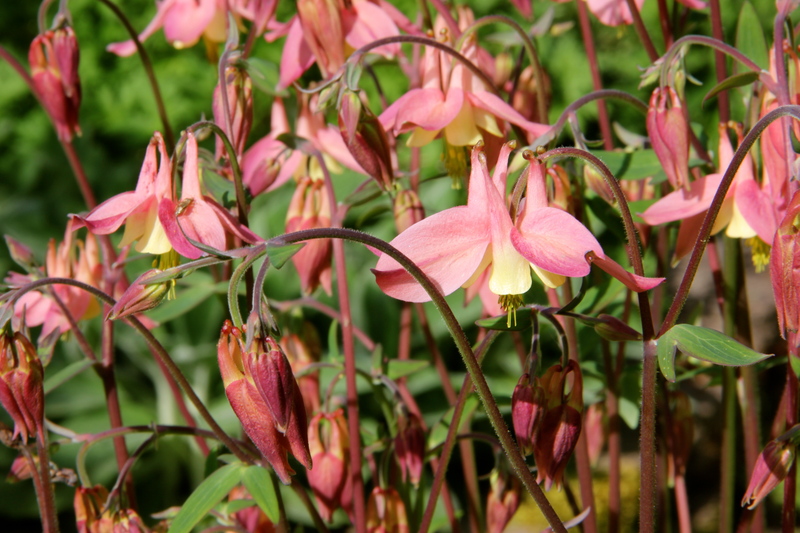 The abundance of nectar within the aquilegia spurs attracts hummingbirds, butterflies, and bees here at Coppertop. I’ll be bringing vaseloads of these babies inside to enjoy. 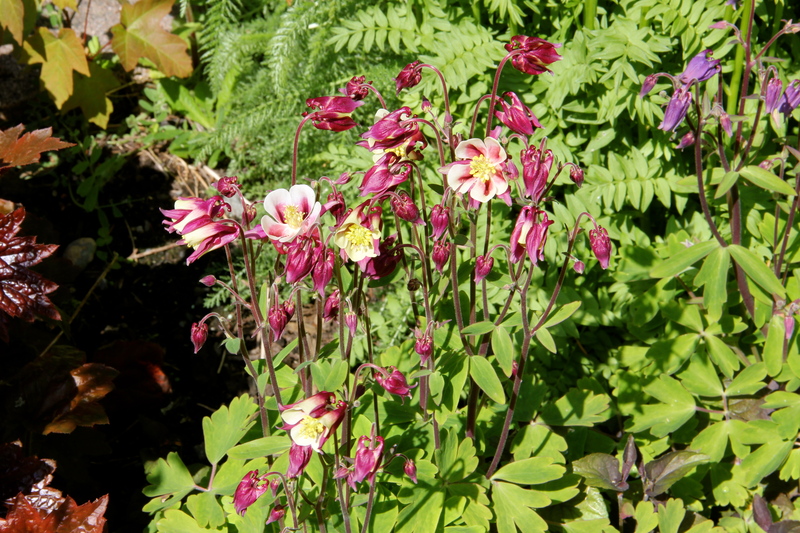 Despite their delicate appearance, aquilegia make superb cut flowers and last much longer in water than most flowers. 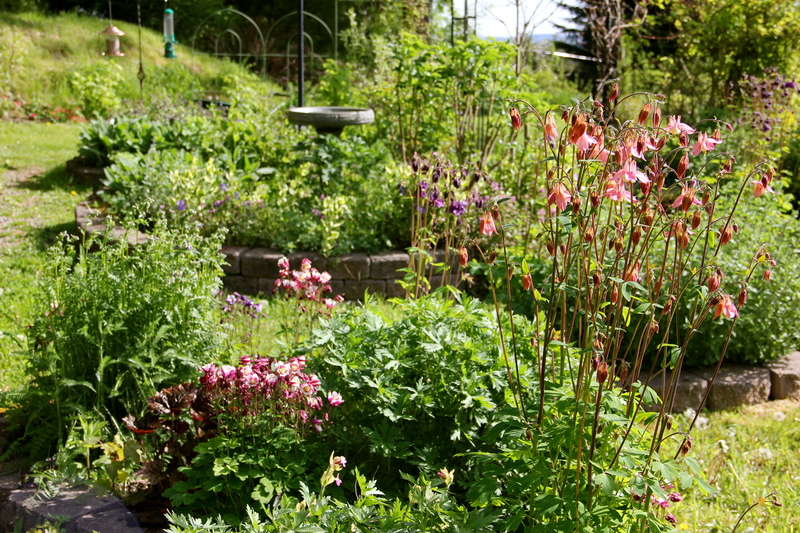 This entry was tagged aquilegia, columbine, Coppertop, doves, gardening, May, Olympic Peninsula, perennials. Bookmark the permalink.